Johannesburg - Hold on tight! 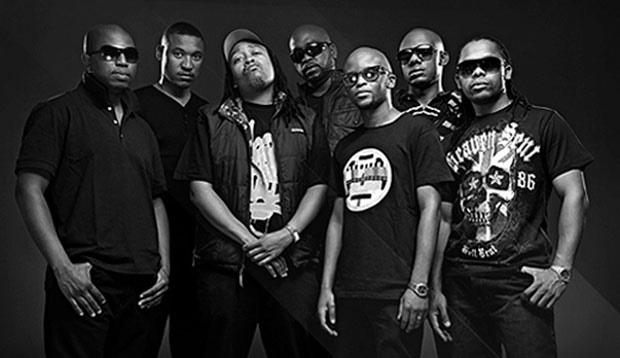 Skwatta Kamp are readying themselves for a comeback! Only a few months after the death of Flabba, the remaining members Skwatta Kamp have announced that they are working on a comeback and a comedy movie! Speaking to Metro FM's Bonang Matheba on Wednesday, Skwatta Kamp member Shugasmakx revealed that the group will soon reunite for a greatest album to be released later this year. And that's not the only good news. Shugasmakx also announced that the group will be working with David Kau to release their own movie. The movie, entitled The Dodgy Promoter, is set for release in 2016 and will be a comedy. "We're supposed to be shooting, probably in October ..so look out for release next year, I'd say," he said, adding,"It's actually gonna be hella funny."